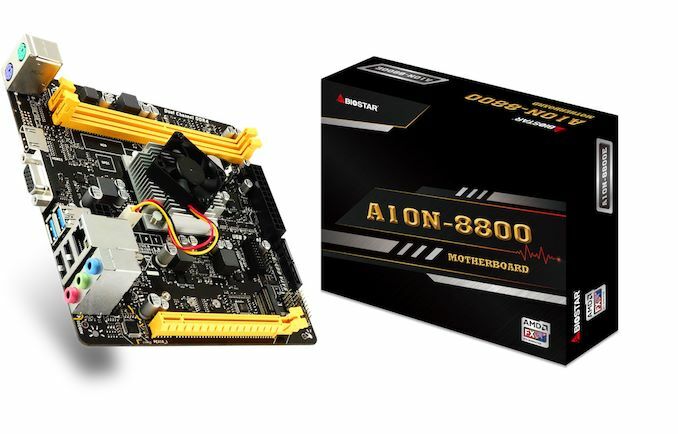 BIOSTAR has just introduced a mini-ITX motherboard with a built-in mobile processor, called the A10N-8800E. This Carrizo chipset based model uses an AMD FX-8800P quad-core processor, integrated Radeon R7 graphics and two memory slots capable of supporting 32 GB of DDR4-2133 memory. The BIOSTAR A10N-8800E boasts an AMD FX-8800P quad-core processor with a boost core clock of up to 3.4 GHz from a base frequency of 2.1 GHz. The FX-8800P is more commonly found in AMD notebooks and has a TDP of just 15 W making it suitable for a low powered SoC system. Some of the main features of the A10N-8800E include a single full-length PCIe 3.0 x16 slot, a Realtek ALC887 HD audio codec and a Realtek RTL8111H 1G NIC. Due to the mobile processor, the BIOSTAR A10N-8800E has a small CPU cooler included. 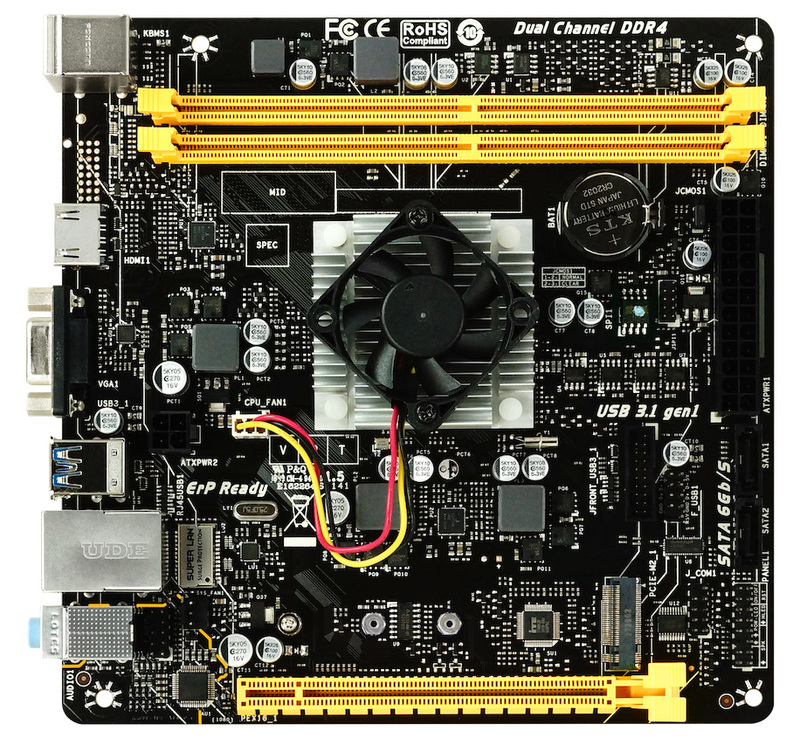 Storage options are limited to just two SATA ports and a single M.2 slot with support for both PCIe and SATA SSDs. Focused on edge computing, the BIOSTAR A10N-8800E offers users two USB 3.1 Gen1 ports, two USB 2.0 ports, separate PS/2 ports for a keyboard and mouse and two video outputs consisting of a VGA and HDMI 1.4. Users can expand on the basic amount of rear panel USB connectivity by a further two USB 3.1 Gen1 and two USB 2.0 ports through internal headers. The board also has a basic looking power delivery with CPU power coming from a single 4-pin ATX 12 V input and the rest of the motherboard getting its power from a 24-pin ATX 12 V input. 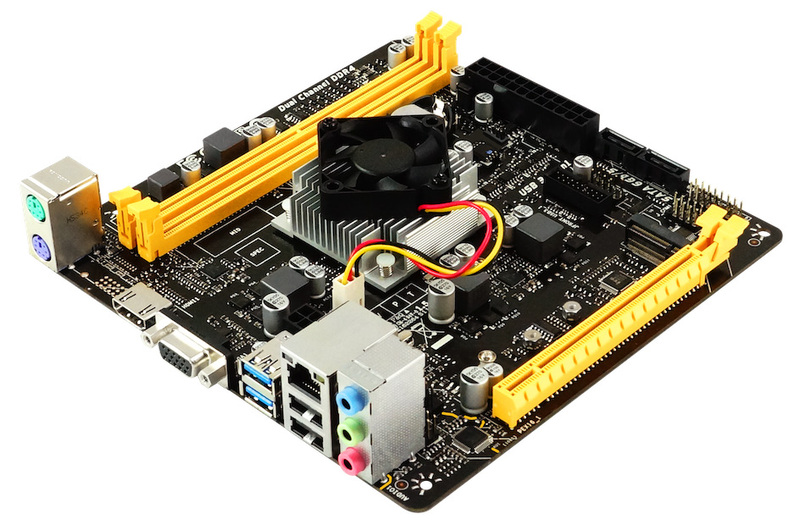 The BIOSTAR A10N-8800E is suitable for small footprint systems due to the mini-ITX form factor. The condensed sizing and power efficient nature of the mobile AMD FX-8800P processor with Radeon R7 integrated graphics makes it an ideal candidate for users looking for a low powered and compact home or office based system. At present, there is no information on the availability of the BIOSTAR A10N-8800E mini-ITX motherboard, with no details on the boards pricing either. Literally the first link is an explanation of the Carrizo uarch. True at first sight : maybe now DDR3 is still cheaper than DDR4.